« Do You Know a Good…? The ATHENA Awards Program of Greater Pittsburgh distinguishes itself from other regional awards through its emphasis on women mentoring other women and girls. Jill McKibbin was nominated in both 2015 and 2018 for the Athena award in many ways because of her efforts to help women-owned and disadvantaged businesses compete in a larger market. For those of you that know Jill, you know she works hard at connecting her clients and has created various programs to fit a person’s budget. CIST provides monthly opportunities for her clients to learn of upcoming construction projects and network with referral partners. Jill McKibbin has a unique ability to embrace her clients’ businesses and understand what they can do to enhance their marketing and sales objectives. Five years ago, Dagostino Electronic Services (DES) was best known for its Structured Cabling Services. Through introductions and networking activities initiated by Jill, DES is now recognized by architects, engineers, contractors, businesses and institutions as the area’s “go-to” partner for audio-visual, security, voice and data networking, and cabling expertise. If there is a person or company that you want to meet, Jill will know someone who knows them who can provide an introduction. She is definitely a valuable resource. CCAC and McKibbin Consulting have a two-way relationship. As an institution, CCAC hosts MWDBE events and invites groups in for networking. 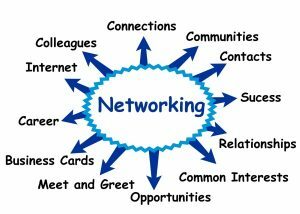 This allows Jill to continue to build her network as well as provide added value to her own network to let them know of our MWDBE events. The more teams of people that are identified for given projects, the more CCAC and McKibbin Consulting can help all of the companies develop and grow business. MWDBE helps everyone. Jill has a special niche of business that no one else really does in providing networking to build business through all these different teams of building trades. For her to be successful is commendable. Otherwise, all big businesses will occupy all major contracts because smaller companies can’t compete for larger projects. Through her relationships, Jill helps to level the playing field. For CCAC, the more MWDBE firms identified, the better it is for more opportunities to grow their business. If I need an introduction to someone or there is someone I need to find the first thing I do is reach out to Jill. When you’re linked with Jill, on LinkedIn–not only have access to her 11,000 contacts, but you gain access to her contacts’ contacts as well. That’s a value she brings. You will never meet the number of people that you will meet through Jill. When you go to her with a need, you can always count on Jill to help you. There is a high level of trust with Jill because she’s already vetted people she recommends. She gives you the backstory with a warm introduction which is extremely valuable. When she educates you prior to going into a call you feel confident that person already knows you are coming. If you haven’t connected with Jill, you are missing the boat. I can’t say enough about working with Jill McKibbin. K.A. Sodders Commercial Painting has significantly grown our business as a result of the introductions and referrals she had provided. I find the CIST meetings to be a valuable resource in the commercial market. As the Sales Manager for K.A. Sodders, I’m pulled in many directions. Regular calls and meetings with Jill have helped me focus on vertical markets and shorten the sales cycle to obtain new work and grow market share. If you are looking to grow your business, I would recommend you consider contacting Jill McKibbin with McKibbin Consulting. Jill is very approachable and clearly has the end game in mind when it comes making introductions. She spends the time to figure out what will help you in your business and provides sincere introductions with vetted resources. As a consultant she works with you to help you to grow your business in whatever path and/or direction that may go and has the depth of resources to do so. I want to thank those who have been such an important part of my career and especially thank those who have taken the time and effort to submit a nomination on my behalf, write a testimonial or otherwise offer your support throughout the years. I love what I do, but I couldn’t do it without you! I’ve been working with McKibbin Consulting for a few years now. Whatever Jill tells you that she’ll get done for you and your company….you can strike it off your list….it will get done. Jill hustles for her clients.